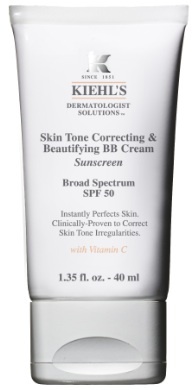 I LOVE the new Skin Tone Correcting and Beautifying BB Cream and recently named it as one of my Favorite Sunscreens. This BB Cream has Vitamin C and skin care benefits, while offering a light tint and SPF 50. It just doesn’t get any better than that! If your skin is showing the signs of stress, then maybe you want to consider trying Kiehl’s Skin Rescuer (see my review here). If your skin is red, dull, blotchy and/or showing signs of premature aging, you might benefit from this calming moisturizer. 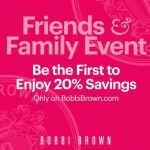 Formulated with technology that actually breaks the skin’s stress response, it’s light and keeps skin hydrated all day. Highly recommended! If your skin is starting to show the signs of aging, it’s time to take action. Powerful Wrinkle Reducing Cream is a daily moisturizer with SPF 30 formulated to reduce wrinkles, improve skin’s elasticity and texture and minimize pores. This is an effective anti-aging moisturizer, suitable for daily use. 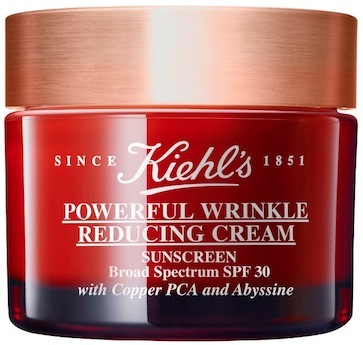 If you need to take aim at dark spots—maybe the result of sun damage—then I can recommend Kiehl’s Clearly Corrective Dark Spot Solution (review here). It looks different than typical Vitamin C solutions and it is different. Because this serum is formulated with “Acitvated C”, there is no oxidation and no brown bottle needed. 100% love this one! 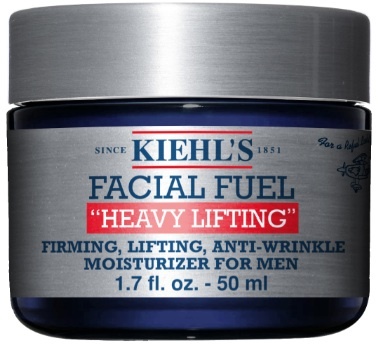 And brand new, just for the guys, Kiehl’s has just introduced Facial Fuel “Heavy Lifting” Firming, Lifting, Anti-Wrinkle Moisturizer for Men, an innovative dual-action, anti-aging cream formulated specifically for men’s thicker, coarser skin. The dual action process is important. First, Heavy Lifting gently exfoliates and improves skin’s dull look, then lifts and firms for a more youthful look. There’s also caffeine and Vitamin C for a power-packed formula. I’m ordering this one for my husband! I could go on and on with recommendations for Kiehl’s products, because it’s a results-oriented line that I truly like and believe in. 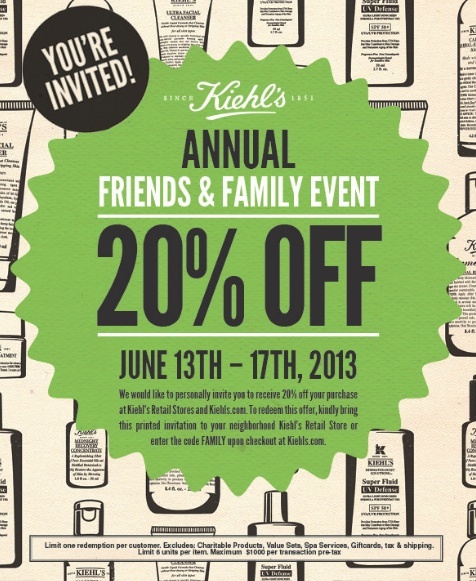 What’s your favorite Kiehl’s product? Let me know in the comments! 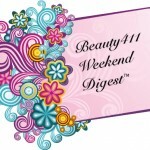 Beauty411 Weekend Digest: Friends and Family Sales!